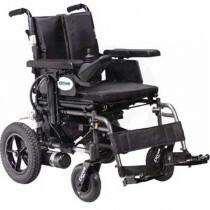 Electric Wheelchairs are often referred to as power wheelchairs, motorized wheelchairs, electric wheelchair scooters, or simply as power chairs. Basically, they are battery-powered motorized chairs on wheels. 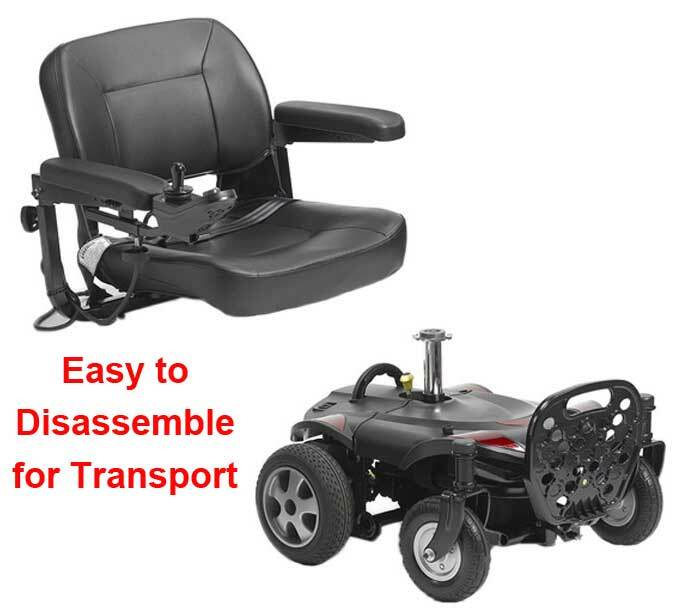 These transports are constructed with a motor, battery, chair, controlling device, and wheels. 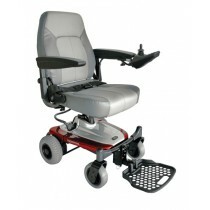 They are designed to enhance the life of mobility patients by allowing them to traverse where ever they need to go. 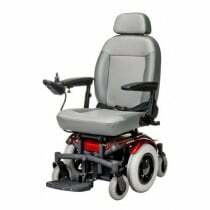 Click the following links for specific details about the Types of Electric Power Chairs, How To Select a Power Wheelchair and information about add-on items may be viewed at Selecting Power Chair Accessories. 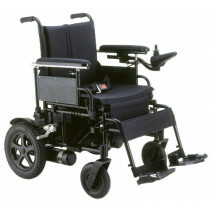 Motorized Wheelchairs are especially useful for individuals who can not use a self-propelled or standard wheelchair. They may be used for individuals with a need to travel long distances without becoming excessively fatigued. 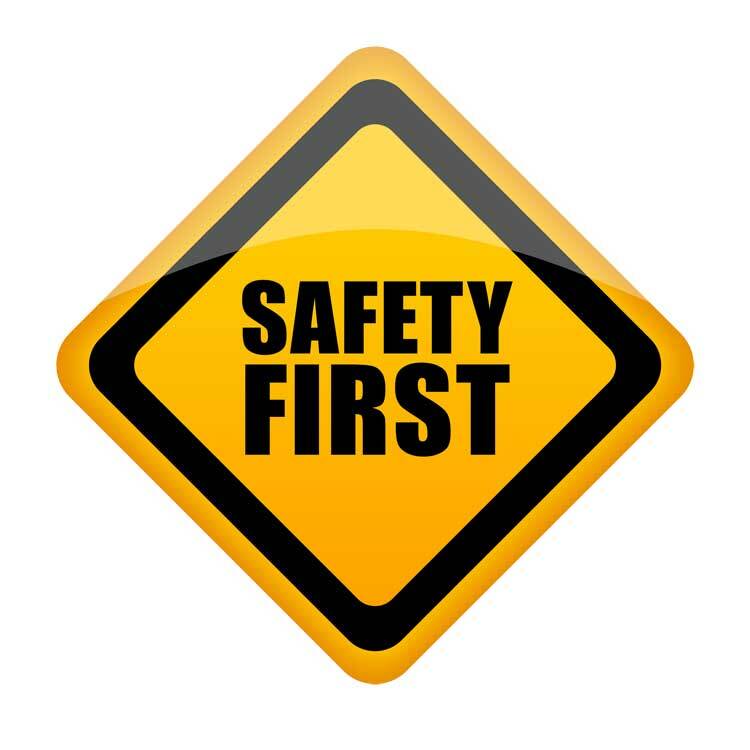 They may also aid oxygen patients who use heavy oxygen tanks and prefer to drive with the oxygen secured to the chair or frame. These devices provide greater independence and self-reliance for the user. 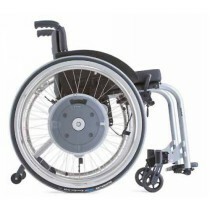 Many different types of wheelchairs are available to meet patient needs. 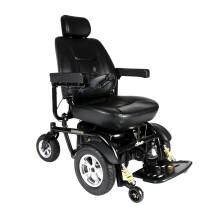 Electric wheelchairs are designed differently for children, adults, elderly, and bariatric riders. 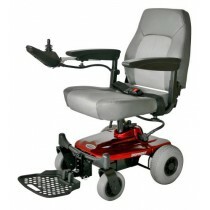 Pediatric power chairs are designed specifically to meet the needs of smaller riders. 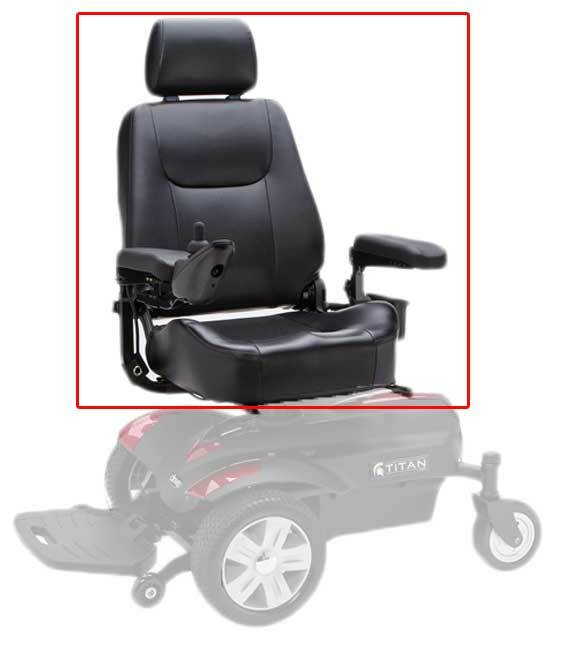 Adult and elderly chairs vary in the amount of power, seat size, drive wheel position, construction materials, adjustability of the seat, arms, and footplate as well as many other features. Bariatric riders use a heavy duty version that is equipped with a stronger frame and motor. Below is a chart of the major types and their purpose. Pediatric chairs accommodate smaller individuals and children. 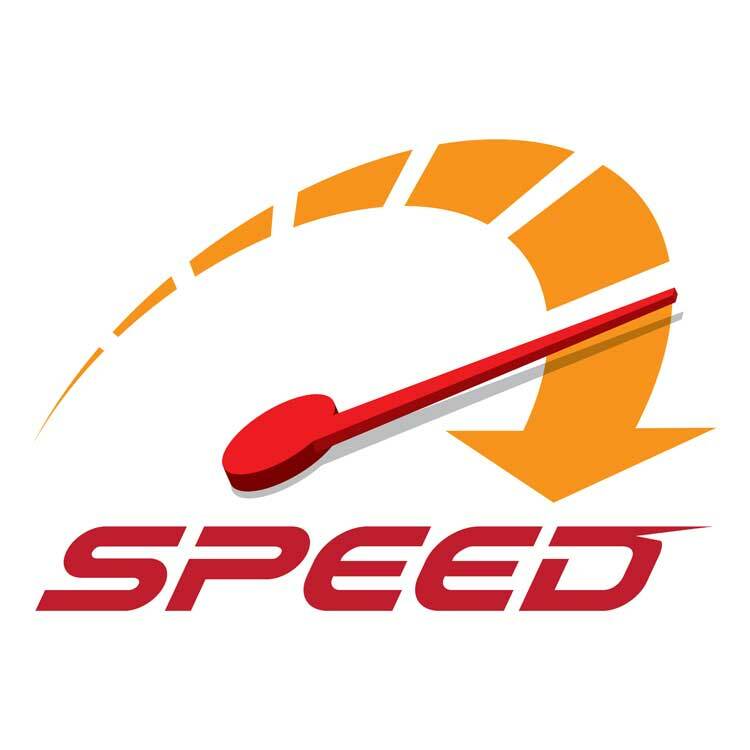 Meets the needs of the majority of mobility patients. Provides for folding and/or easy disassembly for placement in a car trunk to offer easier transport. Heavy-duty chairs are constructed with stronger materials, a more powerful motor, and a more powerful battery to support bariatric patients. Reclining chairs accommodate patients with hip issues, orthostatic hypotension, prevention or treatment of pressure ulcers and to improve blood circulation. Offers therapeutic positions for neuromuscular disease, edema, pressure ulcers, postural hypotension, back pain, and fatigue. Designed with suspension, extra-large tires, gripping tires, and better drive wheel placement for rough terrain. 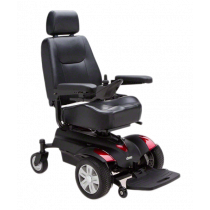 Power Assist Wheelchairs are easy to disassemble, are lightweight, highly portable, and accommodate patients that have some self-mobility functions. 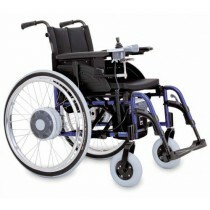 Adaptive kits are available to convert standard wheelchairs to power assist chairs. 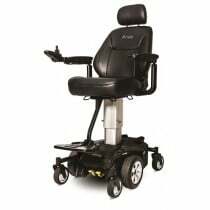 An elevating chair raises the patient to a standing height for easier socializing and to conduct business. 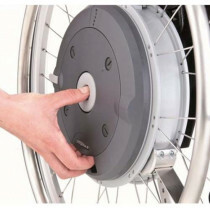 Drive wheels are placed on electric wheelchairs in three different locations that significantly impact the chair’s mobility performance. The locations are respective of the chair. 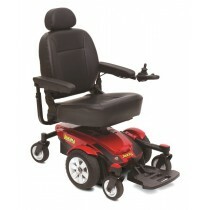 There are front-drive, rear-drive and mid-drive wheelchairs. Each position offers certain advantages, but also incurs some disadvantages. This will be explained separately below. This setup has the drive wheels forward of the seat. 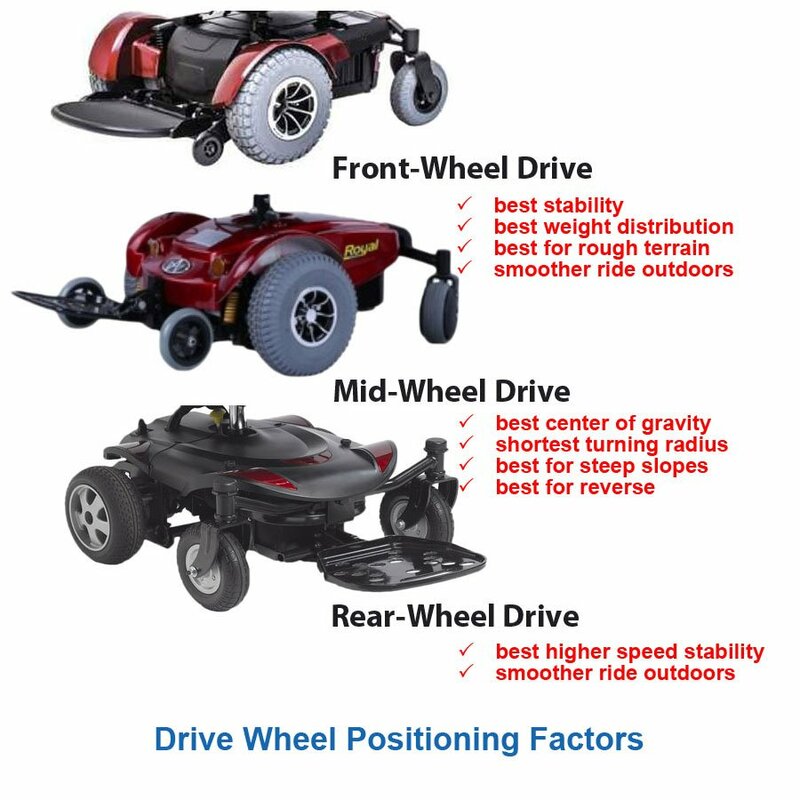 This positioning offers the advantage of greater stability over uneven or rough terrain. Front drive chairs are less prone to tipping. Unfortunately, front wheel drives have the tendency to fishtail at higher speeds. 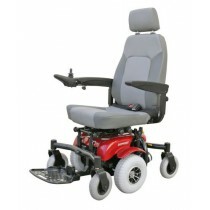 A rear-drive chair positions the drive wheels behind the seat, offering more stability at higher speeds. However, the turning radius increases on the rear wheel drive motorized chairs. Steep hills often cause the chair to tip backwards, therefore requiring anti-tippers to prevent accidents. Mid-drive wheelchairs position the drive wheels under the seat. This setup offers the best center of gravity to prevent tipping. It also offers the shortest turning radius. 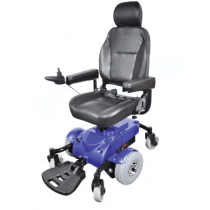 However, mid-drive chairs perform poorly on rough terrain and can sometimes become stuck with the drive wheels spinning due to inadequate contact with the ground. 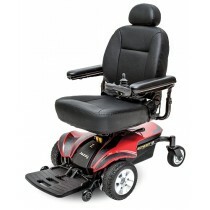 Portable electric wheelchairs are a difficult challenge for manufacturers because of two separate issues. First, power wheelchairs are heavy. 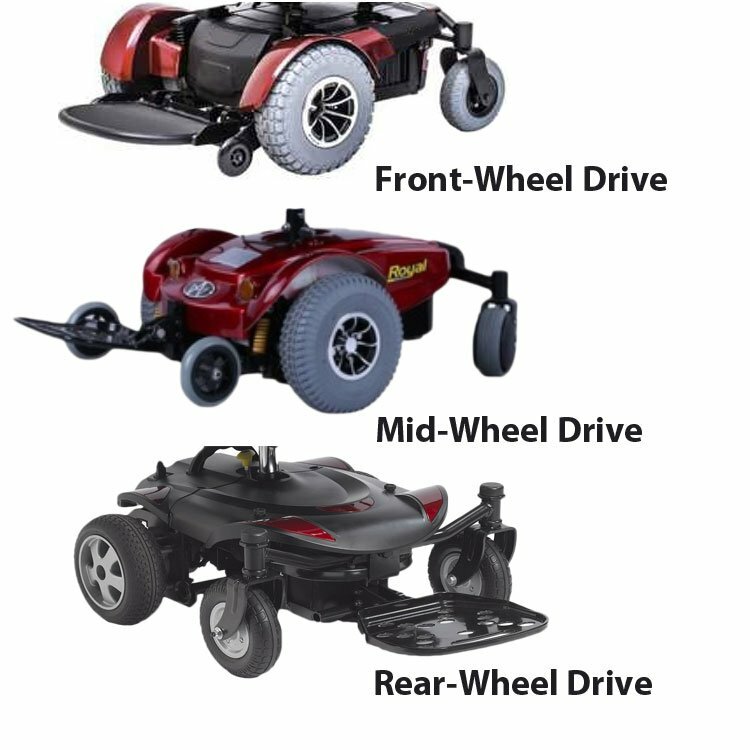 They require four to six wheels, a battery pack or two, a motor, frame, chair, a control system, brakes, anti-tippers, accessories, etc. All of these items add weight. 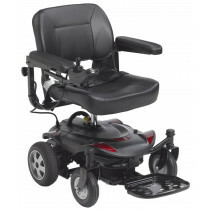 Second, motorized chairs are bulky, requiring a significant amount of space. 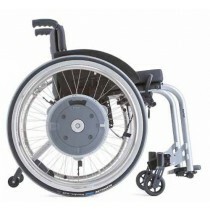 Attempts to decrease the weight and bulkiness of electric wheelchairs often results in less stability. To conquer this hurdle, some manufactures have divided the chair into sections that can disassemble and reassemble. This method provides for easier lifting and storage in a car trunk. However, often these sections still weigh over 50 pounds each. Another solution is adding a folding function. This method decreases the amount of space required for storage and transport. Another solution falls outside of the motorized chair itself and involves attaching a carrier to the vehicle that will be transporting the chair externally. 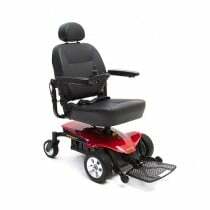 Below are linked to additional details for these portable power wheelchairs. Once you have a good idea what are the user needs, selecting wheelchair accessories is the next step. 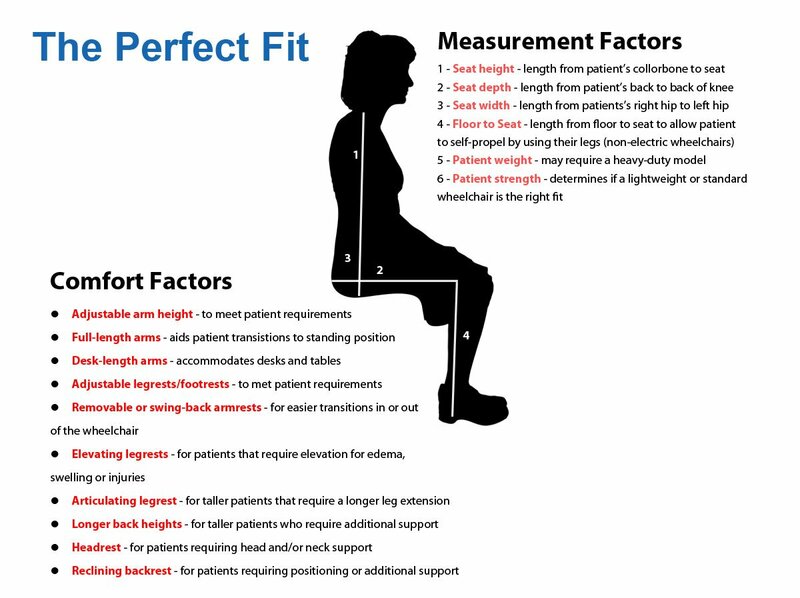 Will the patient need a safety seatbelt to keep them from falling out of the chair? 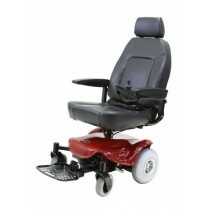 If the patient will be eating from their chair often you may want to consider purchasing a wheelchair table. 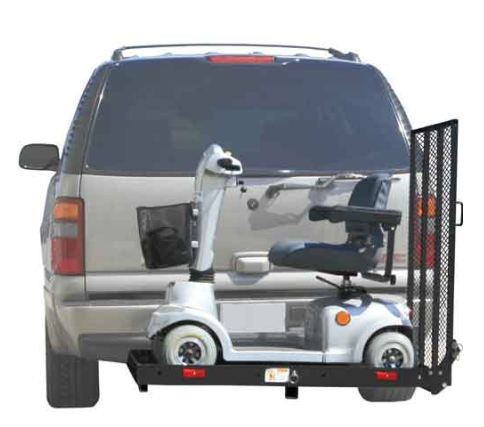 Patients that have difficulty transferring to or from a bed or toilet to a wheelchair may need a transfer board. 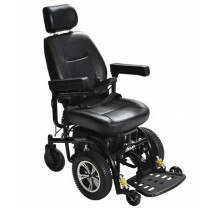 There are storage products, cushions, anti-tippers, oxygen tank holders, umbrellas, safety seatbelts, cup holders, and a host of other products to select in order to make the wheelchair experience more comfortable. If you are looking for an accessory or replacement part that you do not see on this website, call 800-397-5899 for assistance.